Far East H-REIT and Far East H-BT respectively. Both are 67.0% owned by FEO Asset Management Pte Ltd, which is a wholly-owned subsidiary of Far East Organization Centre Pte Ltd and 33.0% owned by Far East Orchard Limited, which is majority-owned by Far East Organization Pte Ltd.
Mr Wee Kheng Jin was appointed as a Director of the REIT Manager Board and Trustee-Manager Board in January 2011 and July 2012 respectively. He was appointed Deputy Chairman in February 2017 and subsequently as Chairman in July 2018. Mr Wee has extensive finance experience in a variety of industries including banking, construction, hospitality services and real estate development. Mr Wee has been with Far East Organization from February 2000 to December 2018. He served as a board member of Yeo Hiap Seng Limited from April 2010 to April 2017 and of Parkson Retail Asia Limited from September 2011 to October 2017. Since his retirement as an Executive Director in Far East Organization, he continues his association with the Group as a Senior Advisor. Prior to joining Far East Organization, he was the Citibank Country Controller for several years and a board member of Citicorp Investment Bank Singapore Limited. Mr Wee also worked for United Engineers Limited and PricewaterhouseCoopers LLP (formerly known as PriceWaterhouse & Co). Mr Wee graduated from the University of Singapore with a degree in Accountancy in 1978. Mr Willie Cheng was appointed as a Director of the REIT Manager Board in July 2012 and was subsequently appointed as Lead Independent Director in February 2013. He was appointed as a Director of the Trustee-Manager Board in April 2012 and subsequently appointed as Lead Independent Director in February 2013. Mr Cheng has extensive experience in the fields of accountancy, auditing, management consulting, technology implementation and corporate governance. He has also written extensively on corporate governance, directorship and non-profit issues. 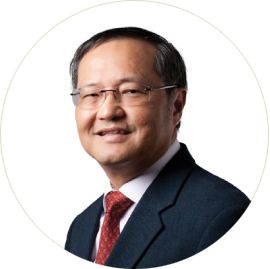 Mr Cheng was Chairman of the Governing Council for Singapore Institute of Directors from 2013 to 2018. Over the last 5 years, Mr Cheng held directorship in Singapore Press Holdings Limited, NTUC Fairprice Co-operative Limited, and Singapore Health Services Pte Ltd. 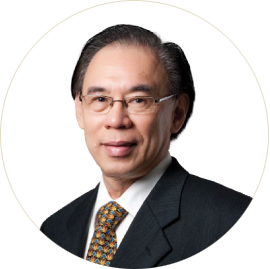 He is also an Independent Director of United Overseas Bank Ltd and Integrated Health Information Systems Pte Ltd.
Outside the corporate sector, Mr Cheng is actively engaged in several non-profit organisations, including ApVentures, Archdiocesan Land & Properties Singapore, Catholic Foundation Ltd and NTUC Health Cooperative Ltd. Prior to his retirement in 2003, Mr Cheng was Managing Director of Accenture’s Singapore office and Head of its Asian Communications & High-Tech practice. 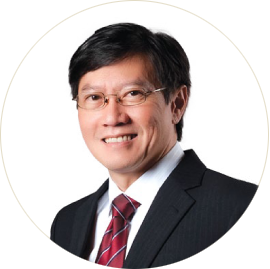 During his stint at Accenture (and its predecessor, Arthur Andersen & Co), Mr Cheng was involved in audit as well as consulting, for the design and implementation of mission-critical systems and business transformation for its clients in government, financial services and the high tech industries. Mr Cheng graduated from the University of Singapore with a Bachelor of Accountancy in 1977. 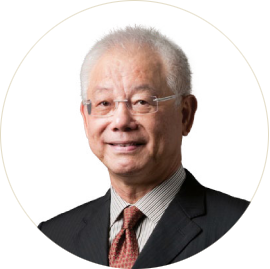 He is a Fellow of the Singapore Chartered Accountants, a Fellow of Singapore Institute of Directors, and an Honorary Fellow of the Singapore Computer Society. Mr Huang Cheng Eng was appointed Director of the REIT Manager Board and Trustee-Manager Board in July 2012 and April 2012 respectively. Mr Huang has a wealth of experience in commercial and marketing activities for the hospitality, aviation and tourism sectors. Before his retirement in 2010, Mr Huang was Executive Vice President – Marketing and the Regions at Singapore Airlines Limited, where he was overall in charge of commercial and marketing activities as well as the firm’s overseas offices. From 1987 to 1996, Mr Huang was overall in charge of air cargo and developed SIA Cargo into a full-fledged division. During his stint at Singapore Airlines, he was also the Chairman of SilkAir and had also served on the Board of Virgin Atlantic Airways. He had amassed 10 years of overseas experience, working in Taiwan, France and Hong Kong from 1977 to 1987. Mr Huang had served on the board of the Singapore Tourism Board (STB) from 2002 to 2006. During that period, he worked closely with the STB management and the travel and hospitality industry in formulating long-term growth strategies as well as major tactical promotions. Mr Huang is also currently an Independent Director of M1 Ltd.
Outside of the corporate sector, Mr Huang serves as an Exco Member in the Children’s Aid Society, and formerly sat on the Board of MINDS (Movement for the Intellectually Disabled of Singapore). Mr Huang graduated from the University of Hawaii with a Bachelor of Business Administration in 1971 and obtained a Master in Business Administration from Michigan State University in 1973. Mr Kyle Lee was appointed to the REIT Manager Board and Trustee-Manager Board in July 2012. 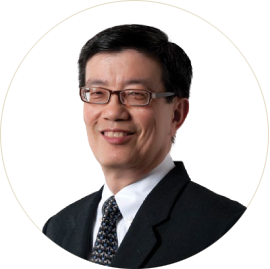 Mr Lee has more than three decades of experience in professional services, comprising accounting, auditing and business advisory, having worked in both the United Kingdom and Singapore. In his professional career, Mr Lee served hospitality industry clients that owned and/ or managed properties in Singapore and abroad. He has notable experience and knowledge of the hospitality industry in Singapore. Mr Lee is presently a Director of CapitaLand Mall Trust Management Limited (as manager of CapitaLand Mall Trust), Comfort DelGro Corporation Limited, Great Eastern Holdings Limited and The Great Eastern Life Assurance Company Limited. Over the last 4 years, Mr Lee was a Director of MFS Technology Ltd. and Jurong International Holdings Pte. Ltd.
By profession, Mr Lee is a Chartered Accountant and served as a partner of PricewaterhouseCoopers LLP in Singapore for 20 years, holding leadership positions at firm, practice, industries and sector levels, prior to retirement in 2010. He is a Fellow of the Institute of Chartered Accountants in England and Wales and the Institute of Singapore Chartered Accountants. He is also a Fellow of the Singapore Institute of Directors. Mr Lee graduated from the University of London with MSc (Distinction) in International Management (SOAS) and MBA and Diploma in Management (Imperial College). Ms Vivienne Lim was appointed to the REIT Manager Board and Trustee-Manager Board in July 2018. Ms Lim is a lawyer in private practice. She has over 20 years of experience handling a wide variety of both contentious corporate and commercial litigation matters as well as non-contentious real estate advisory matters. She founded Genesis Law Corporation in 2004 and has been managing it since. Outside the corporate sector, Ms Lim is actively involved in several non-profit organisations and charities. She is currently the Chairperson of the CHIJ Board of Management that governs all 11 Convent of the Holy Infant Jesus schools in Singapore. She also serves as Vice-Chairperson of the Solicitors Accounts Rules Committee, and sits in the Disciplinary Committee of the Football Association of Singapore and the Independent Review Panel of NTUC First Campus Cooperative Limited. Ms Lim graduated from the National University of Singapore with a LLB (Hons). She also holds Diplomas from Trinity College of Music and London College of Music. Mr Gerald Lee joined FEO in 2011, and is currently employed by the REIT Manager as Chief Executive Officer (CEO) where he is principally responsible for the management and conduct of the business of the REIT Manager and the Trustee-Manager. Mr Lee is a director of Fontaine Investment Pte. Ltd., a joint venture company between Far East H-REIT and Far East Organization Centre Pte. Ltd. (a member of Far East Organization) established for the development of a hotel site in Sentosa. From 2005 to 2010, Mr Lee was at CapitaLand Limited/The Ascott Limited. His roles in Ascott included that of CEO (Europe), responsible for growing the business in that region, and Deputy CEO, responsible for overseeing operations of the group. From 1991 to 2005, Mr Lee was at the Singapore Tourism Board, and his last held position was Assistant CEO (Leisure), in charge of all the leisure divisions. Mr Lee was seconded to the Ministry of Trade & Industry as Deputy Director from 2000 to 2001, and was responsible for overseeing policies and industry development of the tourism and services sectors. He was concurrently seconded to Sentosa Development Corporation as Director (Strategic Development) from 2001 to 2003, and was in charge of strategic projects and redevelopment initiatives. Mr Lee graduated from Cornell University with a Bachelor of Science (with Distinction), and obtained an Executive Master of Business Administration (with Distinction) from INSEAD and Tsinghua University. 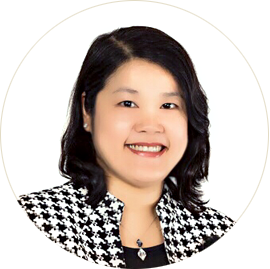 Ms Regina Yap joined the REIT Manager as Chief Financial Officer in June 2017. She is responsible for all aspects of finance, tax and capital management, and also oversees compliance and corporate secretarial functions. She provides support for investment and investor relations matters of Far East H-Trust. 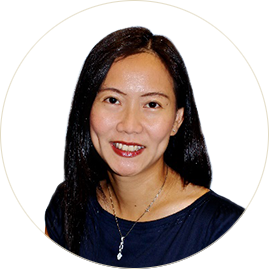 Ms Yap has more than 20 years of experience in group financial and management reporting, operational management and control, tax planning, risk and capital management, compliance and corporate secretarial work. From 2011 to 2017, Ms Yap was the Head of Finance and Company Secretary of AIMS AMP Capital Industrial REIT Management Limited as manager of AIMS AMP Capital Industrial REIT. Her responsibilities include financial accounting and reporting, tax and risk management, capital management, compliance as well as corporate secretarial matters. From 1996 to 2011, Ms Yap held various senior finance roles in CapitaLand Limited within several business units including hospitality, residential, commercial, corporate headquarter and Australand Property Group. Her last held position was Vice President, Finance (South East Asia & Australia) with The Ascott Limited. Before joining CapitaLand Limited, she was a Tax Consultant with PriceWaterhouse (now known as PricewaterhouseCoopers LLP). Ms Yap holds a Master of Applied Finance from the Macquarie University of Sydney, Australia and a Bachelor of Accountancy from the Nanyang Technological University of Singapore. She is also a Chartered Accountant with the Institute of Singapore Chartered Accountants.